The unveiling is part of the Maha Shivaratri celebrations organised by the Isha Foundation, which has been founded by Sadhguru Jaggi Vasudev. Prime Minister Narendra Modi is all set to inaugurate a 112-foot-tall statue of Lord Shiva in Coimbatore at 6 pm on Friday, February 24. [Watch the event LIVE.] The unveiling is part of the Maha Shivaratri celebrations organised by the Isha Foundation, which has been founded by Sadhguru Jaggi Vasudev. However, the event is facing protests from some quarters, who say the statue might cause ecological damage in the area. The Isha Foundation has been quoted as saying that the bust would be the largest of its kind in the world: "This iconic face symbolises liberation, representing the 112 ways in which one can attain the ultimate through the science of yoga, " a statement from Isha Foundation said. "For the first time in the history of humanity, Adiyogi introduced the idea that the simple laws of nature are not permanent restrictions. If one is willing to strive, one can go beyond all limitations and attain liberation, moving humanity from assumed stagnation to conscious evolution," the statement added. Jaggi Vasudev has said in the statement: "It is essential that the coming generations on this planet are seekers, not believers. As philosophies, ideology, belief systems that don't stand the test of logic and the scientific verification will naturally collapse in coming decades, you will see the longing for liberation will rise. When that longing rises, Adiyogi and the science of Yoga will become very important." There have been several protests over irregularities connected with the project. For starters, local tribals have alleged that in many parts the construction took place without proper permissions. And even when permissions were given, they were not for the correct reasons. 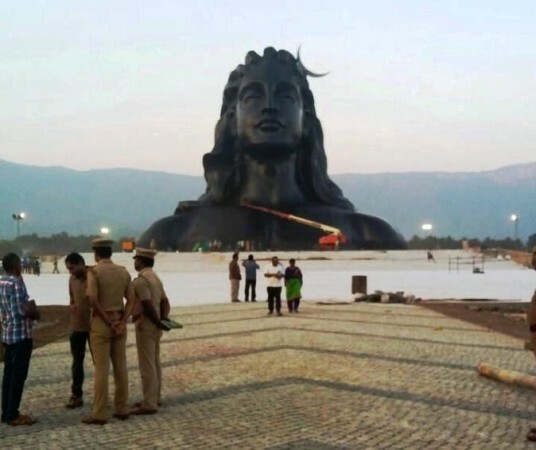 According to a Scroll report, R Kalaiarasu — who represents the tribals — has claimed that although the Isha Foundation says it is a non-religious organisation, the permission given for the Adiyogi statue by the Coimbatore district collector was on religious grounds.